Here I was looking for a relaxing stones pic. 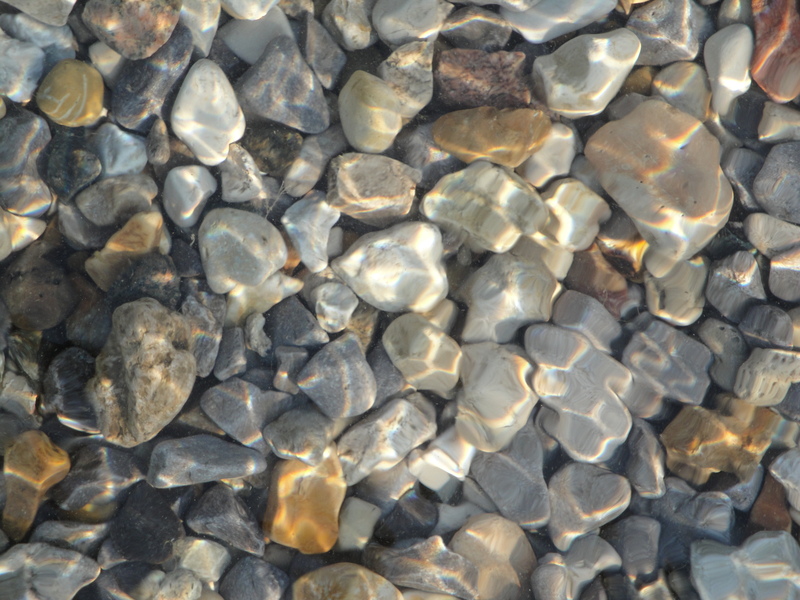 First I tried this view at the lakeshore with nice stones under shallow water. I really like the play of light and water over the base of stones. It’s interesting, natural, and yet, wouldn’t detract from any message I would put on top. The color of text will take some trial and error. Sometimes I will put text right next to an image like this. I think it lets the viewer enjoy the peace and tranquility before processing the text. And in my business… massage therapy… it lets the viewer experience a little bit of what I might offer; a temporary relief from stress. 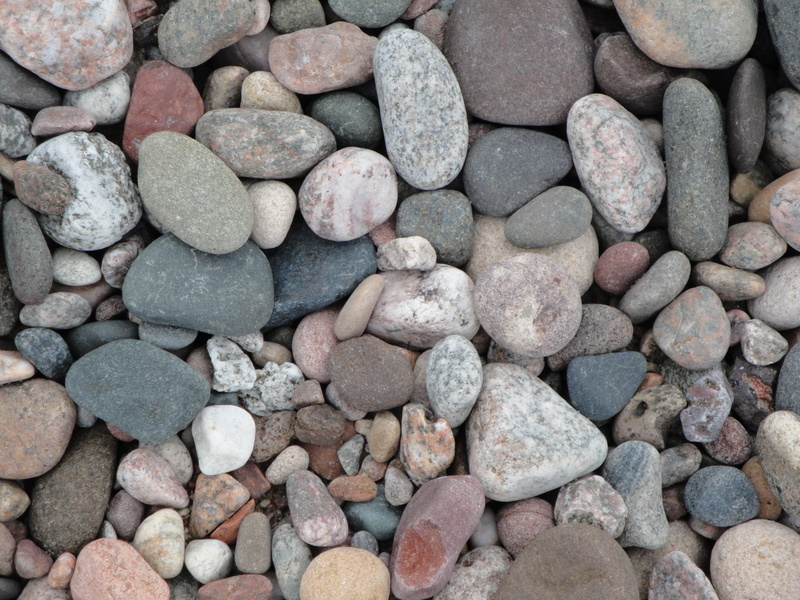 Next, I tried dry stones on the beach. I really like the variety of sizes, shapes and colors here. I do think the first shot is less interesting, though, in a way due to the water overlay which lends everything some sameness. Here I find I am more drawn in to inspect more closely, something I’m not going for in an advertising shot. Do you take photos with a purpose like this? I’d love to see yours! Practice makes perfect! It does take time, though!